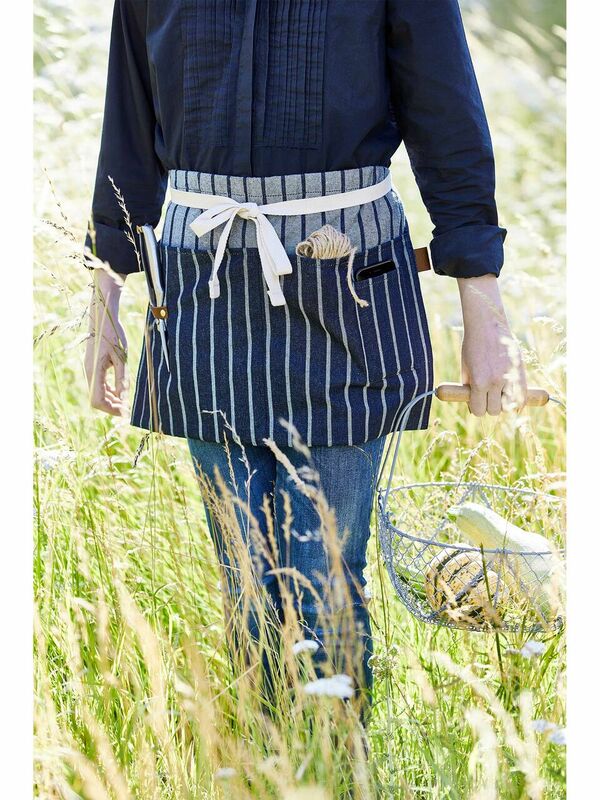 Ready yourself for days spent nurturing your garden with our gorgeous and practical Blue Ticking Gardener's Apron. It has essential deep pockets, perfect for stowing all your tools, twine and all the things you need to hand as you potter around the garden. Hang tools from the leather hanging loop and keep phone or keys safe in the small patch pocket. 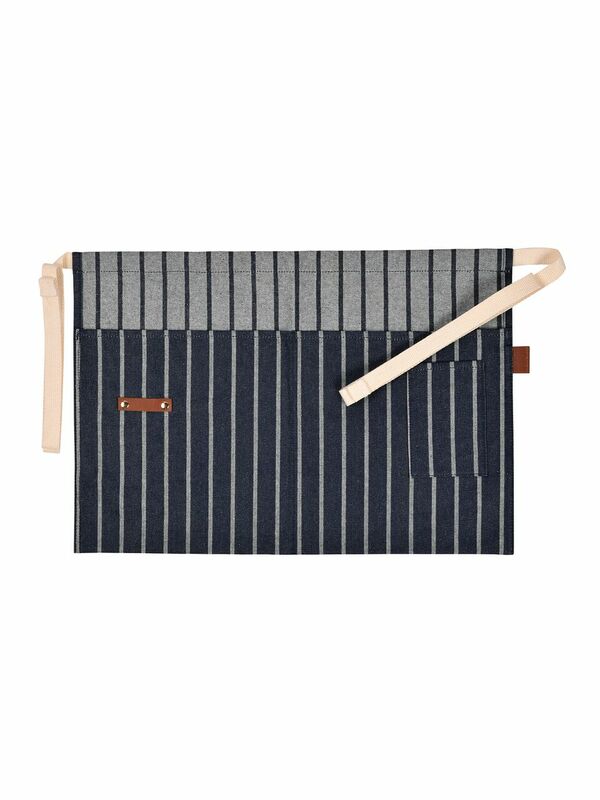 The ticking material is hard-wearing, durable and long-lasting, and the navy stripe gives this apron its timeless style.